We will explore how to use reducer.sh to do true multi-threaded testcase reduction – a world’s first. Today Percona announced the immediate availability of 24/7, enterprise-class support for MongoDB and TokuMX. The new support service helps organizations achieve maximum application performance without database bloat. Customers have round-the-clock access (365 days a year) to the most trusted team of database experts in the open source community. MySQL QA Episode 7: Reducing Testcases for Beginners – single-threaded reducer.sh! 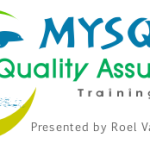 Welcome to MySQL QA Episode #7 – Reducing Testcases for Beginners: single-threaded reducer.sh!